Our Flanders Classic adventure will take you through many great areas of Belgium. We will visit a number of great breweries and learn from the masters of the craft what makes Belgian beer so great. This trip is for all levels of cyclist as the days vary from 20-45 miles of relatively flat cycling along cycle path and rural road, except of course while in the city. We will sample beer from small family breweries and drink beer in Westmalle near the source of one of the classic abbey breweries. You will be greeted at the Airport, Train Station or Hotel depending on your arrival point. From there we will have a short walk about Leuven followed by dinner. At dinner you will be given your cue sheets, GPS and the rest of your tour information. After Breakfast we will head out to the Sven Nys Cycle Cross Center or the Hof Ten Dormaal brewery for lunch. Upon arriving in Mechelen we will drop our stuff at our Hotel and host brewery, Het Anker. Het Anker is a 15th century brewery and distillery we will be calling home for the evening. You have the afternoon free to explore Mechelen before dinner at the Brewery. After Breakfast we will head out of town through the countryside for a stop at a small Trappist Brewery. Only the monks are allowed in the brewery it self so we will be sampling and enjoying lunch at the Café Trappisten next to the Westmalle Abbey. Post lunch we will ride on towards our last stop in Antwerp, De Koninck and our hotel before an evening pub walk and dinner. 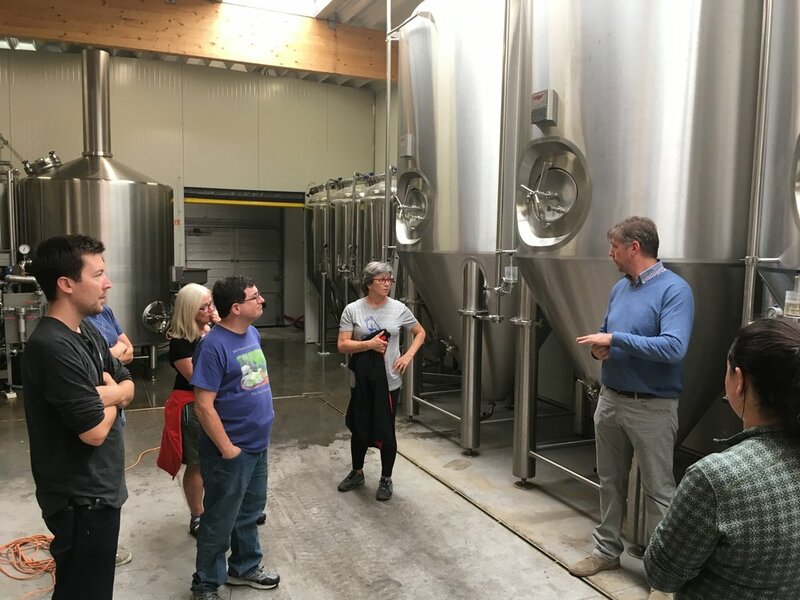 For those looking for a shorter ride there is an option to ride directly into Antwerp with a visit to the smallest production brewery in Flanders. Today is another day of great rural and small village cycling through Belgium. There are a couple small breweries along the way and the community of Ghent is wonderful with still more options. Today may end up being your favorite day of the trip. Near the end of today's ride is a great brewery stop as well. Today we ride for the first of our two days in Brugges. Brugges is a wonderful town with many great breweries and sites. Along the way we will visit another small Belgian brewery and stop to have lunch in a cafe. After checking into our hotel we will walk over to another brewery for dinner. For any interested after we will take in a few pubs in the city. Optional ride or sight seeing wander. 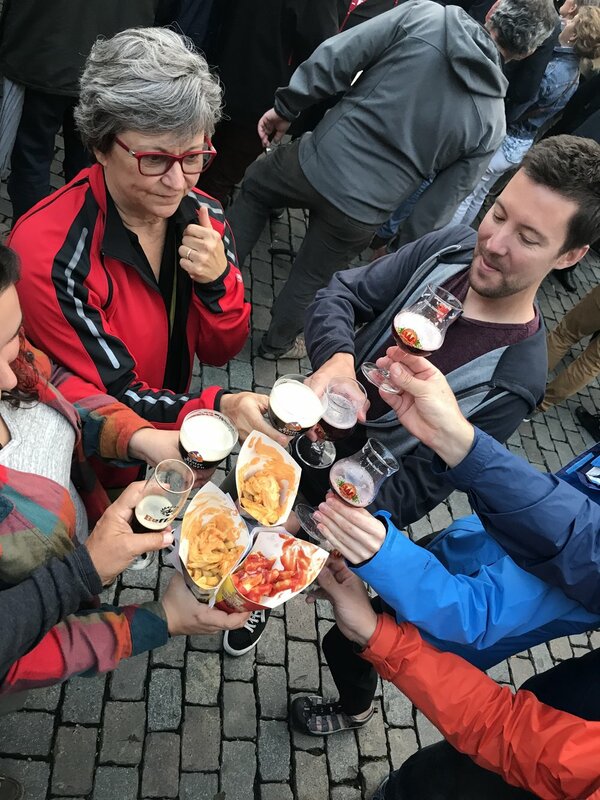 With so much to see and drink in Brugge we have a number of options for your last day on our official adventure. Visit the Fort Lapin brewery. Check out of our hotel and part ways until the next adventure. All meals and lodging during the adventure. Helmets are available for rent.